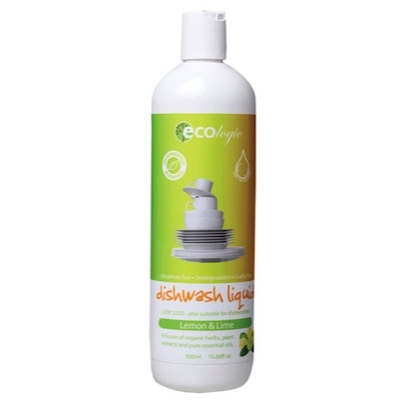 Let Ecologic Dishwash Liquid cut through grease and grime to leave dishes and glasses sparkling. A low suds formula that is safe to use in dishwashers. Let ECOlogic Dishwash Liquid cut through grease and grime to leave dishes and glasses sparkling. This environmentally friendly formula won't pollute rivers and streams. It will not fade your delicate china or discolour your glasses. Organic aloe vera, chlorella and papaya extracts have been added for their beneficial properties on the skin, leaving hands soft and moisturised. A low suds formula that is safe to use in dishwashers.